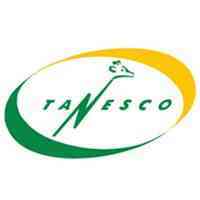 Home Ajira Serikalini AJIRA TANZANIA Government Jobs JOBS JOBS TANZANIA TANESCO 35 New Job Vacancies at Tanzania Electric Supply Company Ltd (TANESCO) - PWANI | Deadline: 03rd April, 2019. 35 New Job Vacancies at Tanzania Electric Supply Company Ltd (TANESCO) - PWANI | Deadline: 03rd April, 2019. Jobs in Tanzania 2019: New Employment Opportunities at Tanzania Electric Supply Company Limited (TANESCO) | Deadline: 03rd April, 2019. • Constructs and maintains distribution lines network in accordance with the company to ensure customers are timely connected and according to the company standard, while observing safety of customers and properties. • At least One year of relevant working experience. • Prepares and submits weekly, monthly, quarterly and annual returns from your department as per company’s procedures. • Holder of Bachelor’s Degree in Accountancy, Finance or equivalent qualification from recognized higher learning Institutions. • Certificate of Secondary Education (Form Four or Six). • Minimum of 1 year of relevant working experience in managing accounting functions. • Holder of Ordinary Diploma in Accountancy, Finance or relevant qualification from recognized learning Institutions plus Certificate of Secondary Education (Form Four or Six). • Minimum of 1 year of relevant working experience in managing finance functions. • Operates assigned vehicle in a safe and courteous manner to ensure safety of the vehicle and passengers. • Adheres to Company Transport Policy, Rules and Procedures and maintaining discipline to road traffic laws, rules and signs. • Records all routes in a log book in order to monitor fuel consumption. • Keeps the assigned vehicle(s) clean inside and outside. • Maintains accurate, up-to-date records on trip sheets, transportation forms, vehicle maintenance, incident reports, accident reports, fuel utilization, vehicle condition reports and other records that are requested by management. • Performs minor maintenance tasks on assigned vehicle(s) as required. • Coordinates the schedule for major or periodic vehicle maintenance with management. • Minimum of two (2) years of related working experience. • Attends customers and relay information to the recipient staff clearly, timely and perfectly for a solution to the Customers. • Registers customer complaints in the special register and Service Delivery Management System. • Provides products and services information to the Customers. It includes new and existing products and services. • Ensures proper recording of time used to restore/repair/respond to customer complains/breakdowns. • Relays information to Customers regarding planned outages and any other planned activity that may affect delivery of service in the respective District. • Holder of Ordinary Diploma or Certificates in Marketing from recognized institutes plus Certificate of Secondary education (Four and/or Six). • At least 6 months of related working experience. Application close date is 03rd April, 2019.